Nvidia calls its approach “variable symmetric multiprocessing” and says it lets Kal-El devices use the minimum amount of power necessary for all tasks, conserving battery life. When more power is needed, the companion core shuts off and the main cores kick in: first one, then two, then four. Nvidia offers Web browsing as an example of a single-core application, Flash and video chat as dual-core applications, and high-end gaming and “media processing” for quad-core use. 20 Sep	This entry was written by CatastroFUCK and published on September 20, 2011 at 5:59 PM. It’s filed under Gear and tagged efficiency is key...and we are locked out, going green, I always sucked at hide and seek, Kal-El, more power!!! 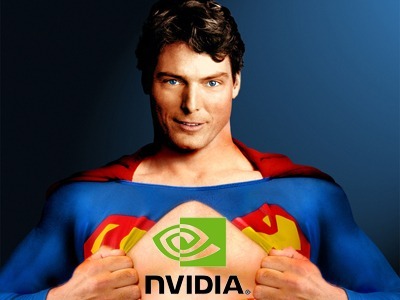 !, Nvidia, secret stuff!, super mans real name!, visually appealing. Bookmark the permalink. Follow any comments here with the RSS feed for this post. “When more power is needed, the companion core shuts off and the main cores kick in: first one, then two, then four.” well bugger me happy, I acutally had missed out on this gossip from the beginning but this sounds really really cool..
very soon mobile computing power will be so powerful we will be living in a 90’s hacking movie or minority report…oh I wanna be Tom Cruise!!!! !